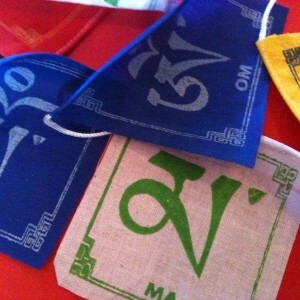 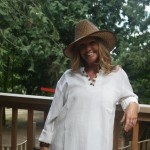 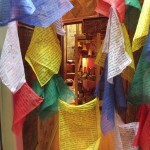 Horizontal prayer flags on a string. 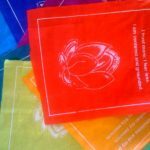 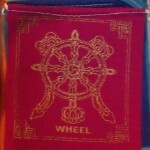 10 cotton flags, 3″ x 3″ (8cm x 8cm). 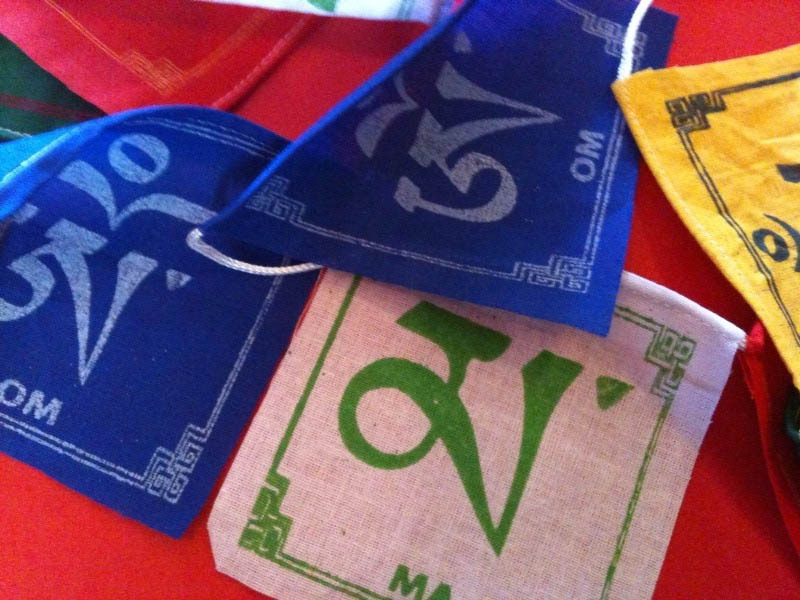 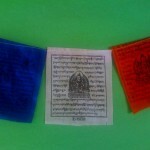 5 traditional colours with multicoloured ink with Om symbol.